Proving once again that life is miserable and full of pain, the folks at publisher Level-5 announced this morning that the upcoming Fantasy Life 2 and Professor Layton 7 will both be for smartphones. Above (via Siliconera) you can see the burning husk of Professor Layton, who after years and years of wonderful adventures has decided to retire to the world of mobile gaming. Gone are the big stories and worlds of previous games, replaced by a tabletop multiplayer party game, for some reason. 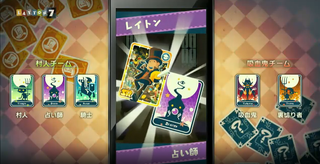 They’re calling this one Layton 7, which is horrible, because that indicates this isn’t just a spinoff but a full-fledged next entry in the series. Both games may come to 3DS too, although at this point it’s unclear how many people will actually want them there. What a disappointment.